Rock Salt or Sea Salt contain many minerals and elements required by the body. 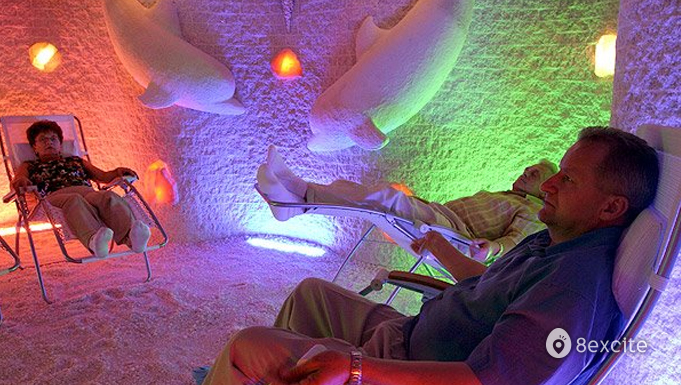 This makes salt therapy a viable complementary Therapy to treat many health complaints. 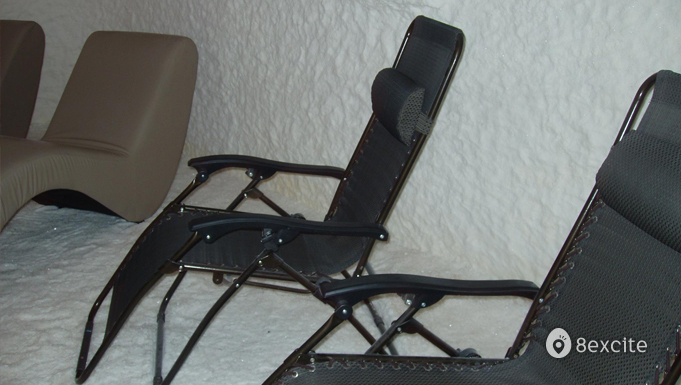 Salt therapy also promotes stress reduction through the production of negative ions to boost the immune system and reduce chronic stress and fatigue. Within the salt room, a halo-generator is used to pump dry salt aerosol vapour into the air. As the dry salt aerosol is inhaled, it travels through the sinuses and respiratory tract absorbing moisture, cleaning the respiratory tract, clearing mucus and killing bacteria. 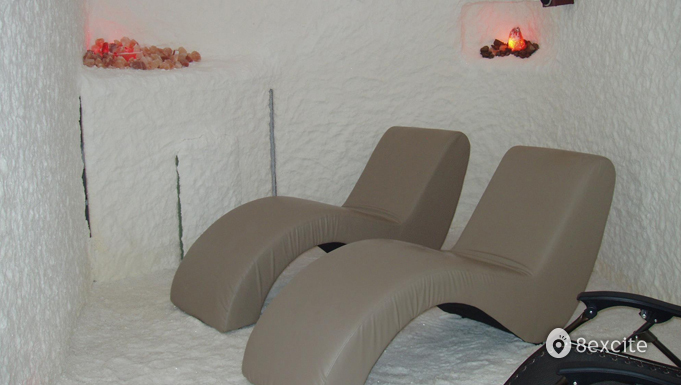 Since salt therapy is 100% natural and drug free there are no negative side effects. After an initial session, you may experience a slight cough, throat irritation and runny nose. But this is simply the early experience due to the salt doing its work to remove mucus and toxin from the lungs and respiratory system. Valid daily from 9am to 4pm. Call to enquire if establishment is open on Public Holidays. Each voucher is for two sessions of therapy. Reservation required and must be made at least 2 days in advance. Call +603-7958 3888. Subject to availability.